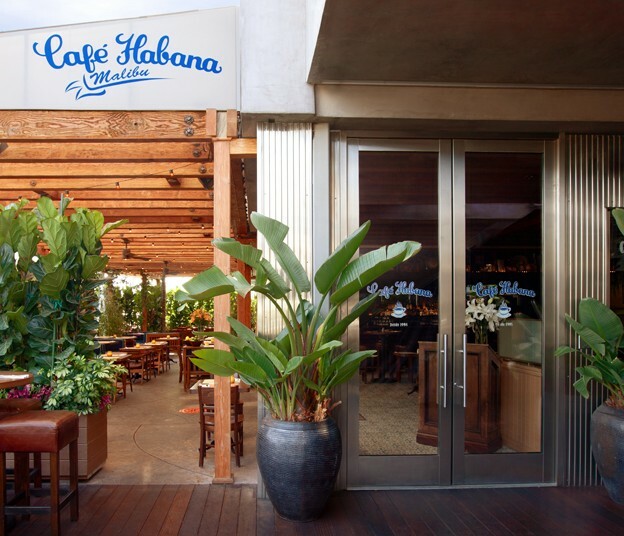 Café Habana Malibu brings Café Habana New York, the famed Cuban/Mexican café to Malibu, CA. Café Habana Malibu is located at the new Malibu Lumber Yard and is customized to its beach community. The original Café Habana in Nolita, Manhattan set the tone for the new location and provides an approachable, community-driven environment. Just as the Café Habana restaurants in Manhattan and Brooklyn were inspired by La Habana in downtown Mexico City-a bustling, bohemian space known for its customer base of Cuban and Caribbean expatriates, musicians, celebrities, and politicos-Café Habana Malibu seeks to recreate the same upbeat and welcoming ambience for which this legendary dining destination is known.